This past weekend we had the pleasure of attending the Foundation of Excellence fundraising dinner. It was great to meet the youth of the community and learn about the local FFA (Future Farmers of America). As you arrived the FFA students offered a tour to show you the farm and animals that live there. It was very impressive the amount of information and how educated the tour guide was of the animals and their needs. We also got to see projects that the students have been working on and built with the guidance of their instructors. It was great to see how much the students loved what they do and contribute to this great program. After the tour we enjoyed a hayride to the dinner area. The FFA students greeted us and offered a few different appetizers while we browsed the silent auction. There was a great variety of beer and wine that we got to taste while socializing with the other guests. 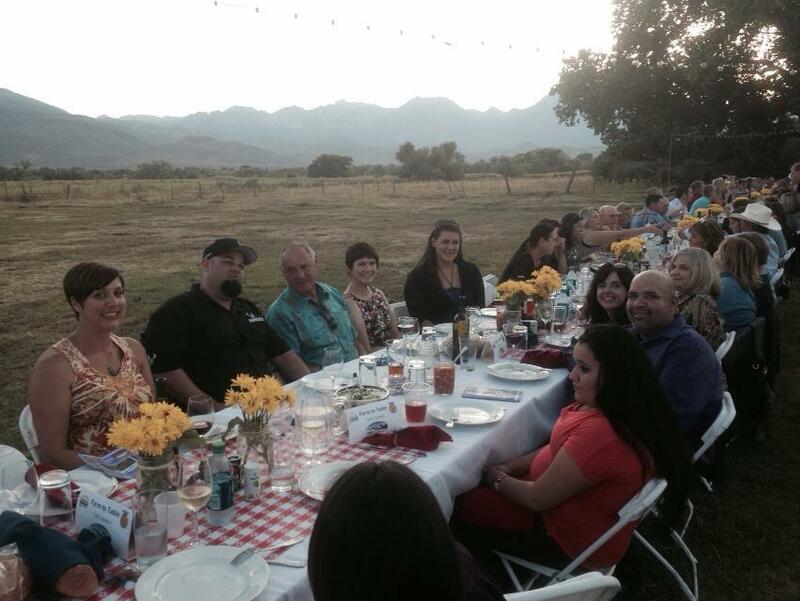 Once the 200 guests were seated for dinner the students then served our farm style dinner. All of the food that was served was raised or grown locally and very delicious. I don’t think anyone left remotely hungry. In this picture (from left to right) Tina and Regan Slee, Jerry Wise, Ann Wong, Amy Cutright, Connie Berrey, Randi Pritchard, Jose Franco. This year the group raised an unofficial $20,000. They are still finalizing some numbers but it was a great turn out. If you missed the dinner this year make sure that you mark your calendars for next year. If you would like to donate you can go to http://www.savorthesierra.com/id1.html. With the beautiful views, amazing food and great community support, it’s an event that you need to attend next year!